The Transport Research Laboratory has recently published a detailed 116 page report of its two year investigation into using renewable energy generation within the highways network for the Highways Agency. The report focuses on Interseasonal Heat Transfer which was invented, developed and patented by ICAX Limited of London. 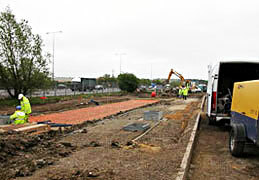 ICAX designed and implemented the installation for an access road adjacent to the M1 in Bedfordshire. 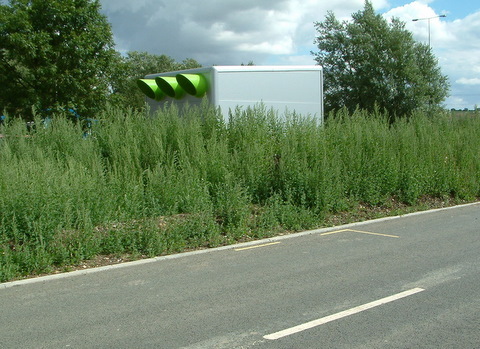 The IHT system was monitored independently by TRL using monitoring techniques designed and implemented by TRL. TRL’s full project report PPR302, which is available on the TRL website, explains how IHT successfully captured solar heat energy from the road (in summer 2006 & 2007), stored this in ThermalBanksin the ground and released it back to the road as needed in the following winters in order to maintain the road free of ice throughout the winter. It is gratifying for ICAX that an independent organisation of the standing of TRL has published such a detailed report whose conclusions support the years of research that ICAX has invested in Interseasonal Heat Transfer and that the report on physical testing verfies the extensive computer modelling that ICAX has undertaken to predict the patterns of heat movement in the ground. Derek Carder of TRL has written an article on the instrumented tests on the Highways Agency demonstration project at Toddington. The full TRL Report on Interseasonal Heat Transfer is available on the TRL website, Interseasonal Heat Storage. The full title is: "Performance of an Interseasonal Heat Transfer facility for collection, storage and re-use of solar heat from the road surface." See also: Energy Trilemma solution.